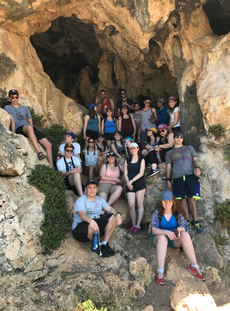 This year, the largest graduate class in over a 100 year history of Jewish education in Winnipeg, went on an Israel Trip. 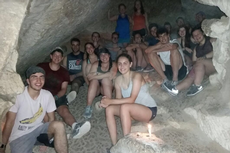 Twenty three of the 47 graduates of Gray Academy embarked on a two week trip to Israel made up of touring, hiking and volunteering components throughout the country. Before leaving on the trip the graduates left a parting gift to the school in the form of a video which is a collage of their ethical wills. The video has already garnered over 5000 views. 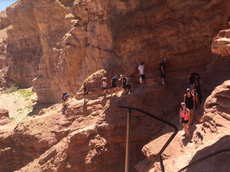 (The ethical wills are a testament to the experiences the graduates had had while at Gray Academy, as they have grown as people, friends, and members of the Jewish community. 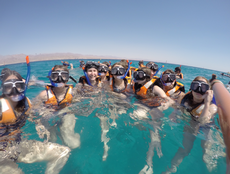 The group provided daily updates of their action packed trip to Israel. 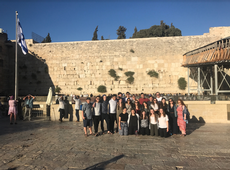 They began by touring in the Tel-Aviv Jaffa area where they went to Independence Hall, where David Ben-Gurion declared the creation of the State of Israel. 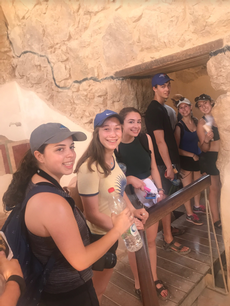 As we walked along the Jaffa port, we learnt about the events that shaped Jaffa into the historical landmark it is today," Cari Slayen wrote.